Most cakes I make for other people are either chocolate or vanilla, delicious but not unexpected. This Banana cake however is. Not everybody loves bananas (as my sister in law Paige will attest to) but I think most people would be begging for seconds! Try it, you’ll like it! 2 bananas all smushed up, the riper the better! Preheat to 350. Grease 2 9-inch round pans. Mix all ingriedents together for 1 minute on low, Scrape sides, and mix for two more minutes on medium. Divide the batter between the two pans and bake for 30-32 minutes. 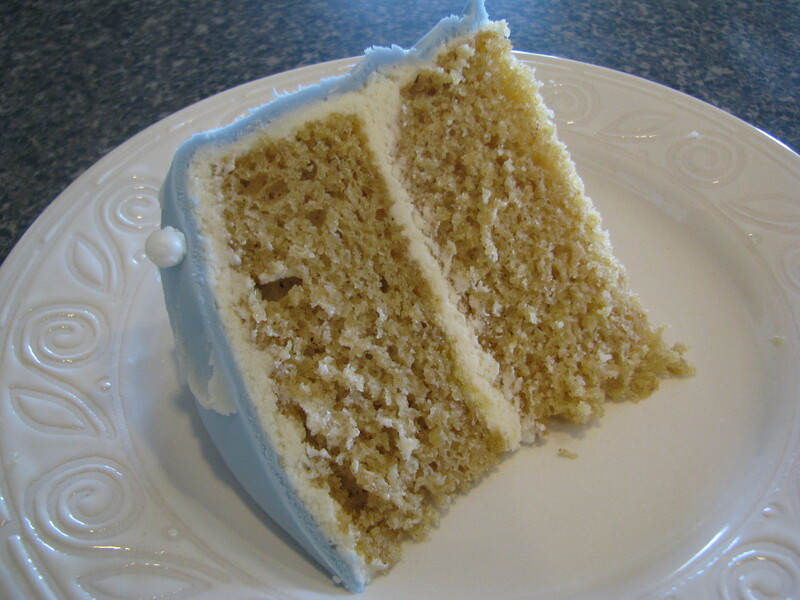 I frosted this cake with homemade cream cheese frosting, gave it a nice tang and kept it from being to sweet. Let me know what you think of this cake, those who try it. And tell me this – what is your favorite cake?